Posted by Paul Kaplan on Wednesday, March 9th, 2016 at 6:08pm. 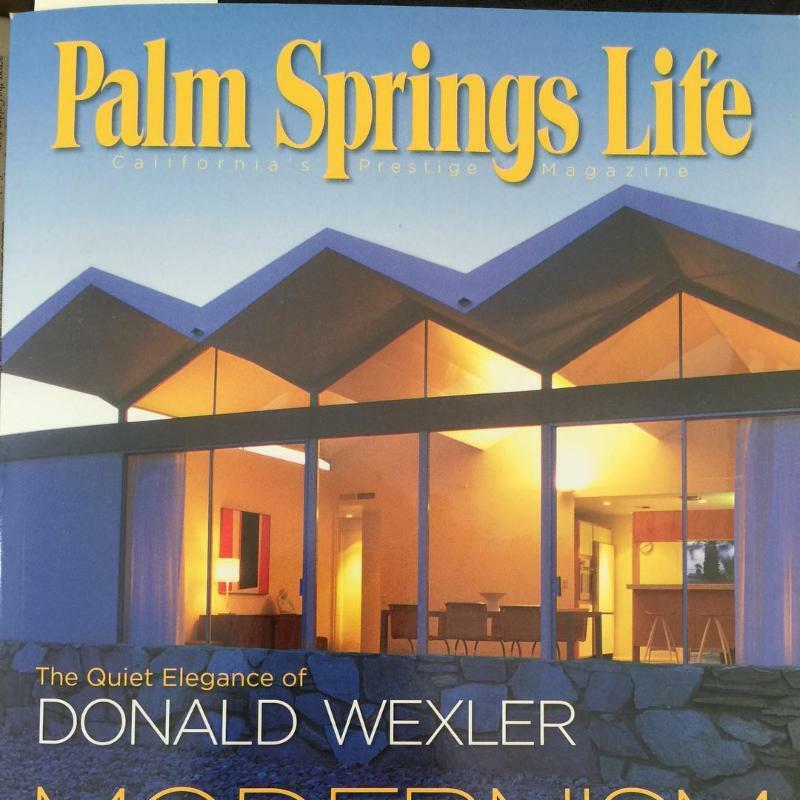 In 1962, the architects Donald Wexler and Ric Harrison introduced a novel all-steel system for the prefabrication of affordable houses suitable for the desert during the Mid-Century era of Palm Springs. The project was sponsored by US Steel, the structural engineer was Bernard Perlin of CalCor, and the builder was the Alexander Construction Company. 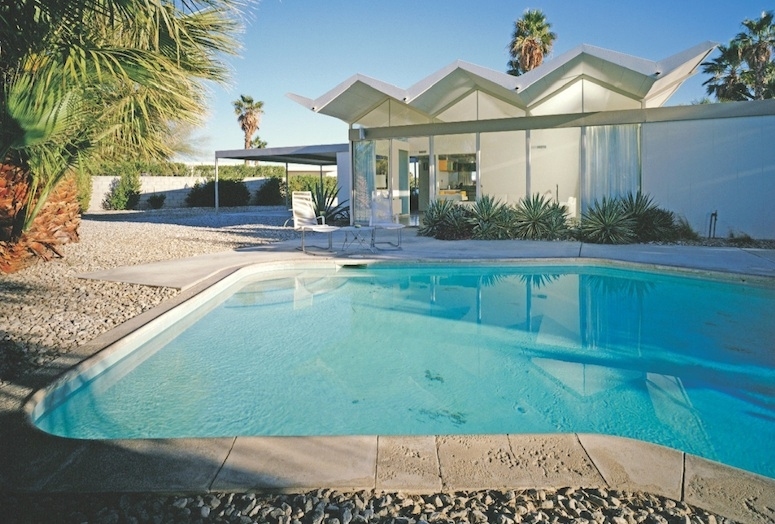 The steel house tract was located in a remote area at the time of Palm Springs, north of the newly built Riviera Hotel, surrounded on 3 sides by empty desert. The houses were primarily composed of steel and glass-a unique combination of off-site and on-site assembly. Part of the genius of their approach was taking components that had been designed for the rapid construction of school classrooms and adapting them into stylish, custom-appearing houses for the middle class. 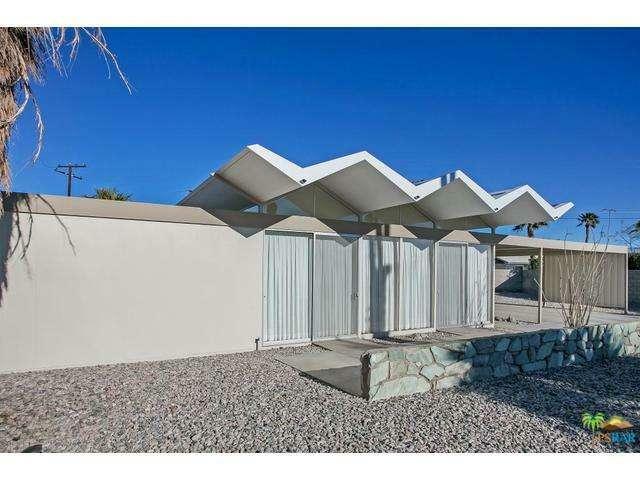 The first three of the seven houses (the models) were started in late 1961 and opened to the public in March of 1962, priced between $13,000 and $17,000. The models were furnished by noted designer Arthur Elrod. The planned tract of 38 all-steel houses were never completed due to the fact that shortly after the seven were built, the price of steel increased, decreasing the profit margin of the builder, who then cancelled the project. Only 7 houses were ever built.